The Paris Climate Agreement, aimed at keeping global temperatures from rising more than 2% by 2020, has been signed by 195 nations. But when President Trump withdrew the U.S. from the agreement last year, it left some people feeling powerless. So they decided to take matters into their own hands. A small town, non-profit in the Blue Ridge mountains is making the political personal. It created what it calls a Personal Climate Pledge. And anyone can download a copy of it for free. By signing it, you commit to reducing your own climate footprint 20 per cent by the year 2020. U.S. 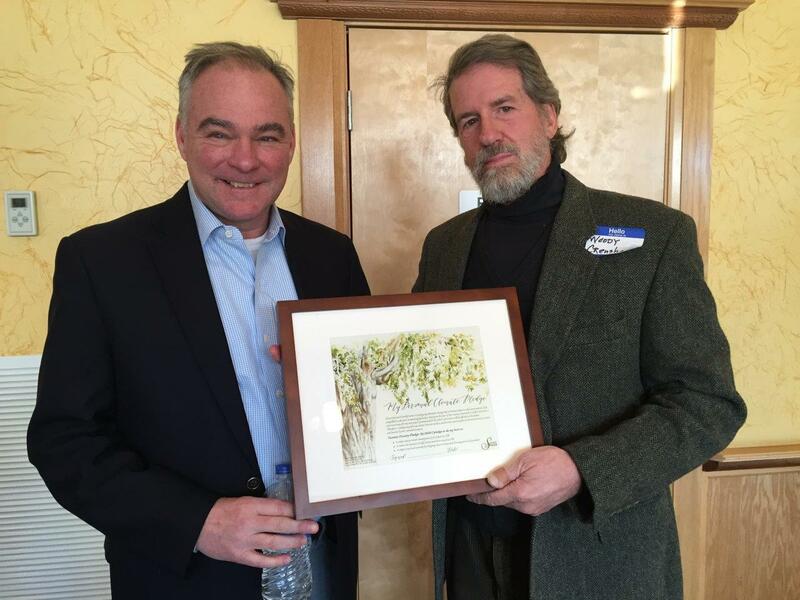 Senator from Virginia, Tim Kaine, with Woody Crenshaw of 'Sustain Floyd.' Crenshaw came up with idea for the Personal Climate Pledge after the U.S. pulled out of the Paris Climate Accord. So the personal climate pledge is like a reminder you tack on your refrigerator, in fact that’s exactly what it is. 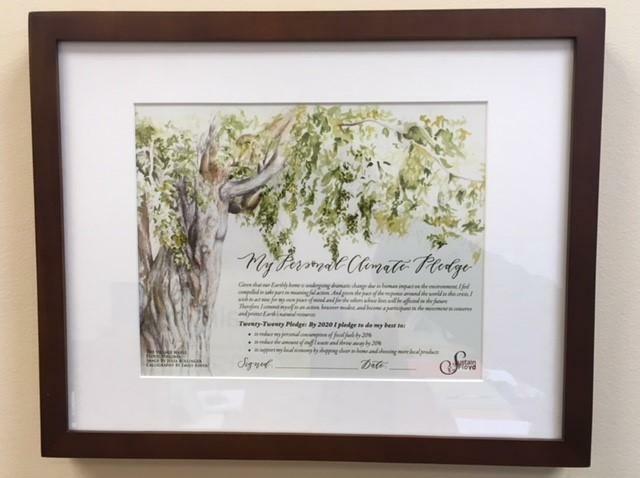 You can choose to download free a copy of the pledge from their website and you’ll also get you a magnet to put on your fridge, or if you decide to donate to the Sustain Floyd, you’ll get an original framed print you can sign. It’s a painting of a well-loved tree in town known as the Floyd Maple. Its creators say their Personal Climate Pledge is not something for their town only. They hope others will join in. If your, town, city, state or country hasn’t adopted the world’s climate change accord, you can always make your own.